The Syndicat National des Agences de Voyages (SNAV), now referred as Les Entreprises du Voyage (LEV) will be staged in Sri Lanka from October 31 -November 5, 2016 at BMICH (Colombo). This is a significant landmark for Sri Lanka, since this the first time in 10 years that the Congress is to be held at a long haul destination. Created in 1944, LEV is a professional organization with the membership of 5,700 State approved travel agencies and tour operators of France Representing more than 5,000 sales points in France. It started with the objective of affirming economic and social substantiality of the industry and tourism and travel in France and Europe. Constantly, LEV seeks to develop the profession of the travel agent. Since 1962, the LEV has also given the consumer better protection by creating the APS (the Association professionnelle de solidarité du tourisme) relating to financial guarantees. On a European level, the LEV is a member of the ECTAA (European Travel Agents' and Tour Operators' Associations). Its mission is primarily to defend the profession, and in particular its negotiations with public authorities (national and European) including other stakeholders, such as Airlines, rail or sea. The JEV Congress is an annual event held in a top tourism destination where over 300 delegates, majority of them being Outbound Travel Agents in France, attend the Congress. This time JEV had picked a destination in Asia to host this major event and it is after a 10-year hiatus. By hosting the JEV 2016 Congress, Sri Lanka wishes to open her full tourism potential to French Market in the coming years. Sri Lanka Convention Bureau together with Sri Lanka Tourism Promotion Bureau and all private sector tourism stake holders will have the opportunity to showcase Sri Lanka’s unique tourism products and services to the French market. Through the JEV Congress they wish to develop the booming French Market & achieve highest number of travelers from France in the future. In a bilateral aspect, France is one of the key countries for Sri Lanka in tourism and travel standing at over 86,126 French travelers to the country in 2015. 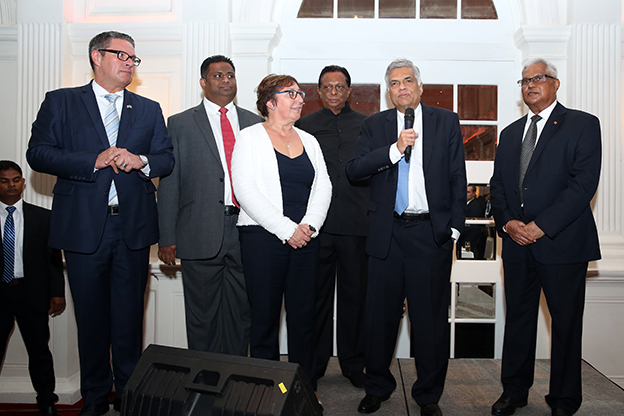 The exposure to be received from this prestigious event to Sri Lanka, will consolidate and strengthen the bilateral bonds of friendship between the people of Sri Lanka and France. According to Mr. Paddy Withana, Chairman Sri Lanka Tourism Promotion Bureau, hosting the French Conference in Sri Lanka has a positive impact on the country as the agents will share their experience of Sri Lanka with their customs and promote Sri Lanka as a great tourist destination. He further said that French community are specially attracted to Sri Lanka because of its rich heritage and ancient culture mixed with its colorful splendor. Over 300 French travel agents are scheduled to arrive in Sri Lanka for this historic event and they will be visiting Negombo, Colombo with excursions to the cultural triangle during the six days of the Congress.